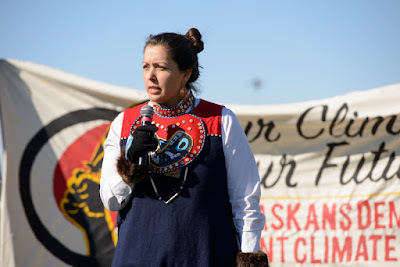 Sweetwater Nannauck of Idle No More Washington offers closing statements at the "Rally to Confront the Glacial Pace of Political Action." Hundreds of people rallied in Anchorage as President Obama spoke at the GLACIER conference, a ministerial meeting hosted by the State Department. Speakers from organizations around the state spoke at the Rally to Confront the Glacial Pace of Political Action. Ta'Kaiya Blaney of Vancouver speaks at the "Rally to Confront the Glacial Pace of Political Action" as President Obama meets with ministers from around the world for the "GLACIER" conference at the nearby Dena'ina Civic and Convention Center. 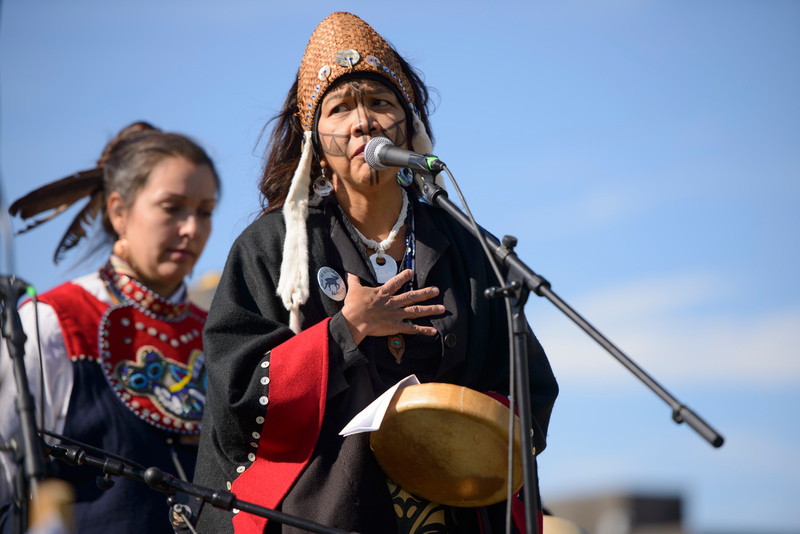 Tlingit traditional healer Meda DeWitt Schleifman offers an opening prayer at the "Rally to Confront the Glacial Pace of Political Action" as President Obama meets with ministers from around the world for the "GLACIER" conference at the nearby DenaÕina Civic and Convention Center. 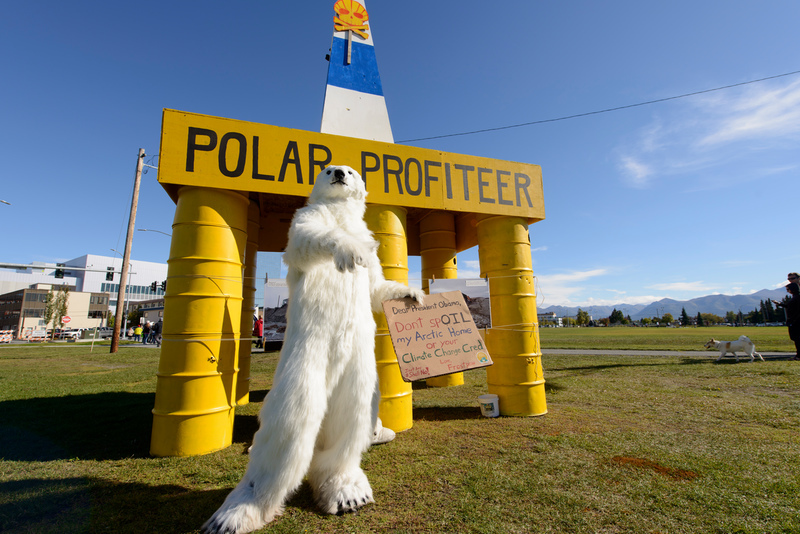 An activist in a polar bear costume stands in front of the "Polar Profiteer" a sculpture named after Shell's Polar Pioneer oil rig drilling in the Chukchi Sea in the Alaskan Arctic. 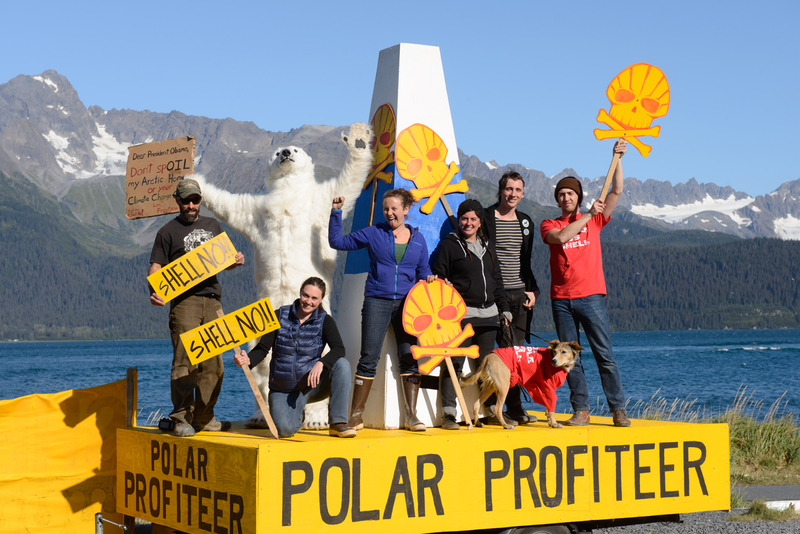 Allied groups opposed to Shells Arctic drilling held a Rally to Confront the Glacial Pace of Political Action as President Obama meets with ministers from around the world for the "GLACIER" conference at the nearby Denaina Civic and Convention Center. Protesters on the shore of Resurrection Bay as President Obama passes by on a water tour highlight the President's deeply hypocritical move to come to Alaska to stress the urgent need to take action on climate change immediately after giving Shell final approval to drill for oil in the Arctic Ocean. 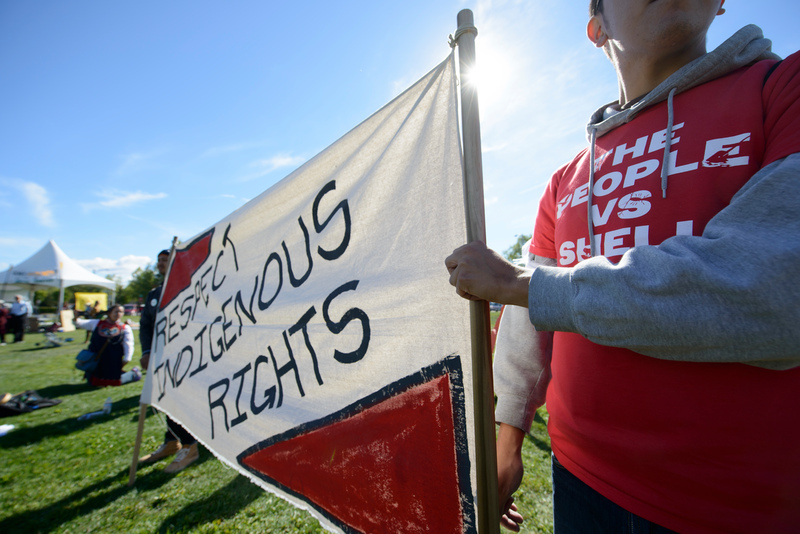 Solidarity rallies in Seattle and Portland, site of two major protests against Shell's Arctic drilling, were planned. 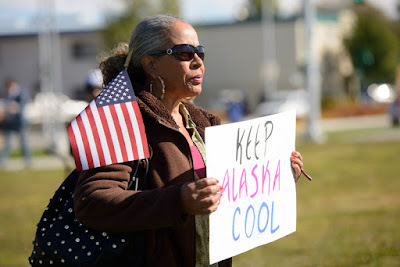 As President Obama visited Alaska this week, spending time in communities impacted by climate change and giving a powerful speech on the urgency of the issue, demonstrators greeted the president by protesting his recent approval of Shell’s Arctic drilling plans. Hundreds of people rallied in Anchorage as President Obama spoke at the GLACIER conference, a ministerial meeting hosted by the State Department. 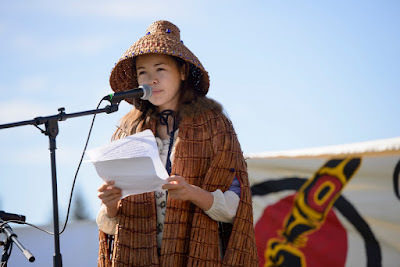 Speakers from organizations around the state spoke at the rally — called the Rally to Confront the Glacial Pace of Political Action — including the Alaska NAACP, RedOil, Interfaith Climate Action Group, BAYAN Alliance, Unite Here Local 878, and Idle No More, as well as many individual speakers and activists. The speakers, performers, and activists at the rally emphasized what they see as the President’s deeply hypocritical move to come to their state to highlight climate change immediately after he gave Shell approval to drill in the Arctic ocean. Seattle and Portland, the sites of two major protests against Shell’s Arctic drilling, held solidarity rallies as well. 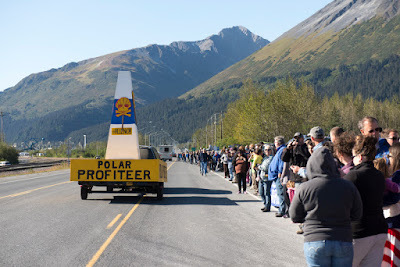 Several protesters followed the president the next day as he traveled to the town of Seward where he visited receding glaciers. Thanks to the Mohawks, for a clear perspective. This comment on Obama in Alaska, is from Neddie Katsitsiaionhne, Mohawk. Obama "dances with our children, all the while smiling knowing he is there to hurt them forever, the children do not know what he is or what he has planned for their own children's land water air and food and animals and natural medicines. I know some protect the children from such things but the leaders should have made an example out of him and chased him out like the strong Dine' has done to that low life form called John McCain." We were partners in coordinating the rally up here on Climate. 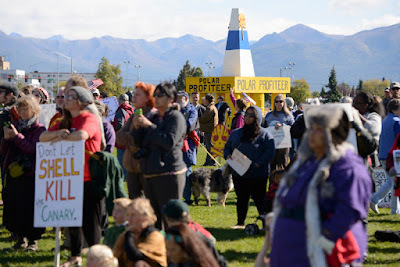 I was just notified the story ran in Censored News with the title "hundreds protest President and Arctic Drilling" This does not reflect the event that we held. We held the OUR CLIMATE, OUR FUTURE Rally to confront Climate Change and pressure leaders of the World and Obama for stronger actions to address Climate. 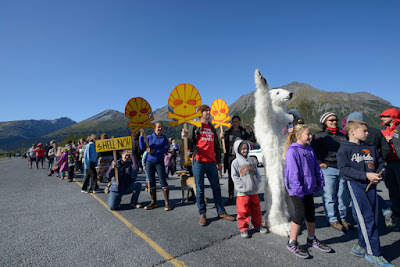 We held this rally to show Obama and the world that we in Alaska are in Climate Crisis and we need action now to address our situation. Somehow this is being spinned into a Protest against Obama, which is inaccurate. We held a respectful RALLY to raise the profile of Climate Issues. Can you change the title to accurately reflect the Rally. 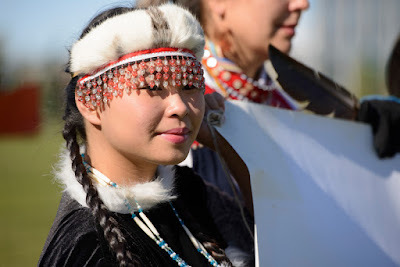 We are respectful toward the President, although we don't agree with the offshore drilling permits in the Chukchi, we still are respectful while we keep the pressure on. Response from Censored News: President Obama can not be separated from his action. Obama is responsible for approving the permit for Shell to drill oil in the Arctic. The article contains actions and comments from many areas across Alaska. The title of the post is: Photos: Native People Protest Obama and Arctic Drilling Across Alaska. To Hell with Shell....if we had to run this country on renewables only, it would be a nightmarish transition for a while, but we'd succeed. 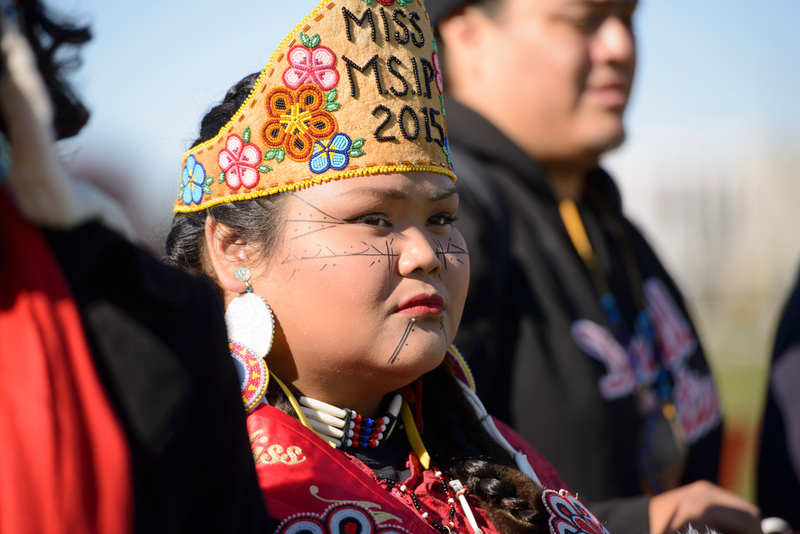 It's "Idle No More", not Idle Know More. It's insane the way Aboriginals right across North America have to fight to save and preserve their own lands and territories from piple lines, fracking, dams, etc., and all at the same time!? What the hell is really going on? Shouldn't all of North America being cluing in already and asking the same question? Obviously, there is some serious corruption going on where too many polititions and big paying Corporations are definitely all behind it. An assault to the land and waters, is an assault on nature, wildlife, and the eco system. Therefore, a direct assault on the environment, is a direct assault to humanity. 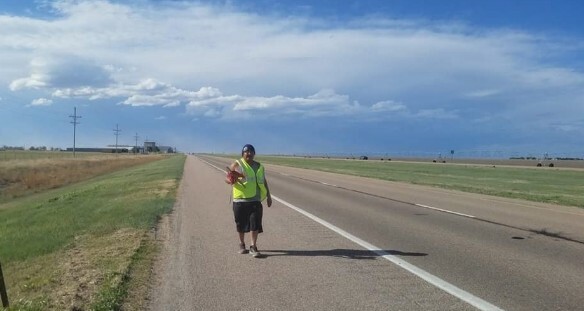 What can we all do to help save our lives and futures,...stand strong with all Aboriginals. Fight for what is right, -our lives and futures depend on it. Agreed -" a direst assault on the environment is a direct assault to humanity." When that connections is deeply felt and understood, no corporate power or patronage will be able to stand in the way of massive change - a turn towards renewables and a turn from the death-dealing impacts of fossil fuels and nuclear energy. I stand in Solidarity with my brothers and sisters of the Indigenous peoples of Alaska. 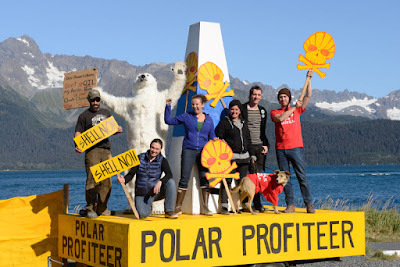 Shell get out of my relatives homes!! !